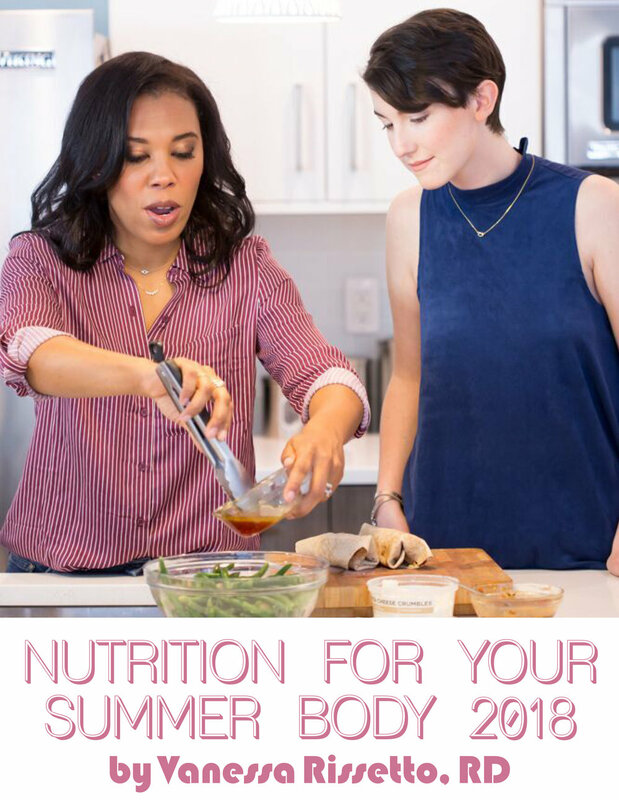 NUTRITION FOR YOUR SUMMER BODY 2018 BY VANESSA RISSETTO RD. As you work on the physical goals of your summer body, Vanessa shares with us how to get our food plan in sync whether you've been diligent or just starting! Summer bodies are made in the winter… at least that’s what my trainer tells me. Well, I’ve got news for him - Mother Nature hasn’t been on her meds this winter, so most of us have been hibernating more than usual since November. And, if you’re like me and you’ve been getting your cardio by pushing your cart down the aisles of your local grocery store, then I’m sure you’ve noticed that how, er, unappealing the produce is looking these days, while over in the chip aisle that strategically placed new Doritos flavor has never looked so good! Spoiler Alert: yes sometimes I do eat Doritos, and Original is still the best. HOWEVER, this is not the time for Doritos (new or original), or cookies, or wine, or any of that fun stuff we have been making excuses for because it was from Thanksgiving, or a holiday party, or Prince Harry and Meghan Markle are getting married. Summer is upon us, people, and you're either going to be cool and comfortable basking in the sun with your shoulders exposed, or you're going to be searching for the a/c while hiding in leggings, and tunics. Side note - my daughter, who is six, only wears leggings, she doesn't see any reason for trying to squeeze into jeans when leggings are way more comfortable - her words not mine; clearly I’m raising a confident genius. Wait, where were we… oh right, summer bodies - DUH! Which is likely the reason you’re even still reading, hoping I get to the point soon! You want me to impart my pearls of wisdom so you can get to work on that summer body the Friday before Memorial Day. Don’t worry, I got you; and you got this, with a few tricks and tips to help. 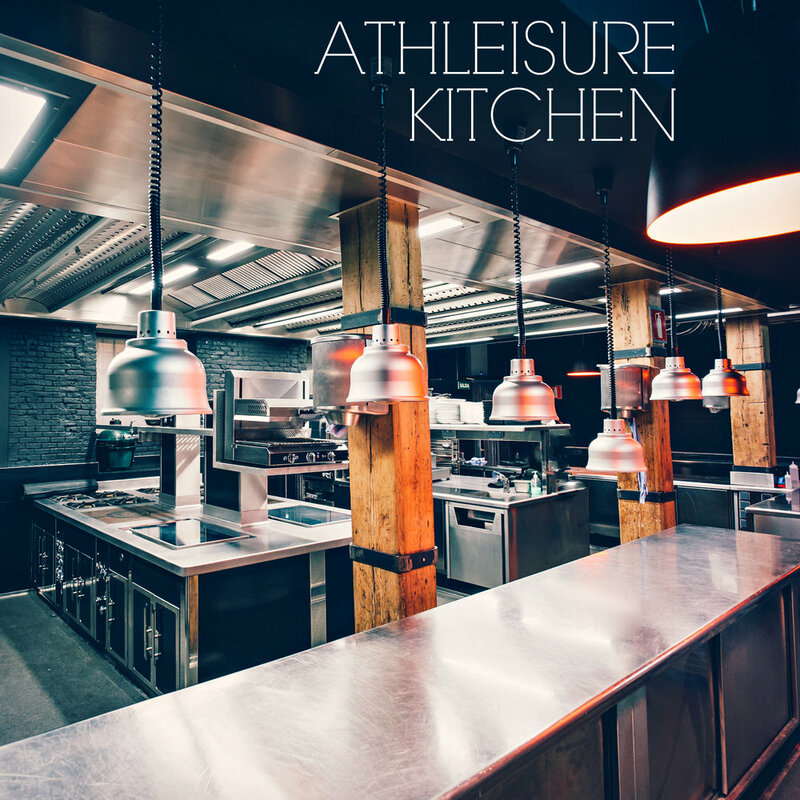 Guys, if you’ve been boozing it up every weekend, and ordering a daily takeout, you’re not going to do well if you start to subsist on kale and lemon water all of a sudden. Let’s be realistic here - If you’re used to drinking 6 drinks over the weekend, let’s aim for 4 this weekend. Firstly, only drink spirits - vodka, rum, tequila – pure, no mixers. You’ll find you’ll drink less, which will make you consume fewer calories but still get your weekend buzz. And, if you’re tempted to drink more, (we’ve all had THOSE weeks) order a seltzer in between each drink since that will make you feel full, while disguising the fact that you aren’t really drinking. Which leads me to my next point. OK, I know that wasn’t the perfect segue way, but I’ll try to come up with something more clever for the next one… So, you know when you’re watching RHONY and Ramona and Bethany are fighting over some nonsense that is the same nonsense they've been fighting over since the show's inception? This is the perfect moment for step two! This is the time where I pick up my phone and start scrolling around for recipes that are quick and easy. Now I KNOW you’re on your phone while you watch TV, so instead of searching around IG and ending up on Beyonce’s mother’s European vacation, navigate towards pages that can actually help you. I personally love @SkinnyTaste for her easy recipes, @AllRecipes has pretty quick delicious meals, and you could also visit my page - @VanessaRossettoRD - but that would be a shameless plug and I wouldn’t do that sort of thing. But do your own searches, find the things you like, and – if it’s really great, send it to me on IG in my comments, I’m always looking for new recipes! Now that you’ve planned ahead, you can shop! Meal prep is less daunting if you know what you’re making. Staples on my grocery list are: eggs, oats, almond milk, arugula, lemons, limes, avocados, onions, garlic, raspberries (8 g fiber per 1 cup when you’re craving something sweet), individually portioned 100 calorie bags of nuts, skinny pop (individually portioned bags), mini Kind bars (100 calories), non-fat Greek yogurt, peanut butter packets (Justin’s has 80 calorie individual packs), frozen bags of broccoli, green beans, and frozen cauliflower rice. I then add in ingredients from the recipes I found. My tip here is to plan 3 proteins, 1 starch, and 6 servings of vegetables that you can have on hand at home for dinners when you get home. That way when you come home from a long day, you don't have to stare into the abyss that is your fridge wondering what to eat - especially when it probably doesn't have any food INSIDE it right now anyway, but has plenty of those takeout menus stuck to the OUTSIDE, amirite? If your fridge is stuffed full of delicious food, you will heat it up and eat it instead of making that tempting call to your favorite pizza place. Trust me this is a way to avoid temptation, save money, and limit waste. Exercise will definitely help your summer body cause. But it’s also really good for your brain. And, it’s a great way to break up your day and stop you from raiding your cabinet, you know, the one with all the chocolate. If you’re looking longingly at your cabinet where you hid the cookies but the weather outside is nice, then even going out for a quick 30-minute walk is a win. It shifts your focus, makes you feel good and by the time you come back, you probably won't want those cookies anyway. Look at your week as a succession of chances to reach your goal: you have 35 of them, actually. Every day, you get to enjoy breakfast, lunch and dinner and two snacks – one in the morning and one in the afternoon. That means you have 5 chances a day, and 35 chances a week to eat well! And, if you can eat well about 33 of those 35 times, you should be able well on your way to that summer body. And for those of you thinking to yourself “eat well” is not a tip, anyone can say that! Here are some specific guidelines: have 1-2 cups of vegetables at your lunch and dinner, make sure the serving size of carbohydrates is no more than about ¼-½ cup, and don’t drink your calories, try to keep to water and seltzer (or fizzy water as my kids call it). Follow these five tips to get you ready for the summer, and you’ll see the difference – and whenever you decide to cast aside your leggings and tunic and dip your toes in the ocean, I’ll be right there with you. Read more from the April Issue and see Nutrition for Your Summer Body 2018 by Vanessa Rissetto, RD. in mag.